1. General Manager 2. Regional Manager 3. Deputy General Manager 4. Chief Designer 5. Chief Faculty Member 6. Assistant General Manager 7. Manager 8. Deputy Controller 9. Deputy Chief Engineer 10. Senior Faculty Member 11. Deputy Manager 12. Specialist 13. Assistant Controller Accounts and Finance 14. Assistant Controller of Accounts 15. Executive Engineer 16. Extension Officer 17. Accounts Officer 18. Industrial Estate Officer 19. Monitoring Officer 20. Assistant faculty Member 21. Designer 22. Program Officer 23. Training Officer 24. Research Officer 25. Analyst 26. Technology Officer 27. Senior Designer 28. 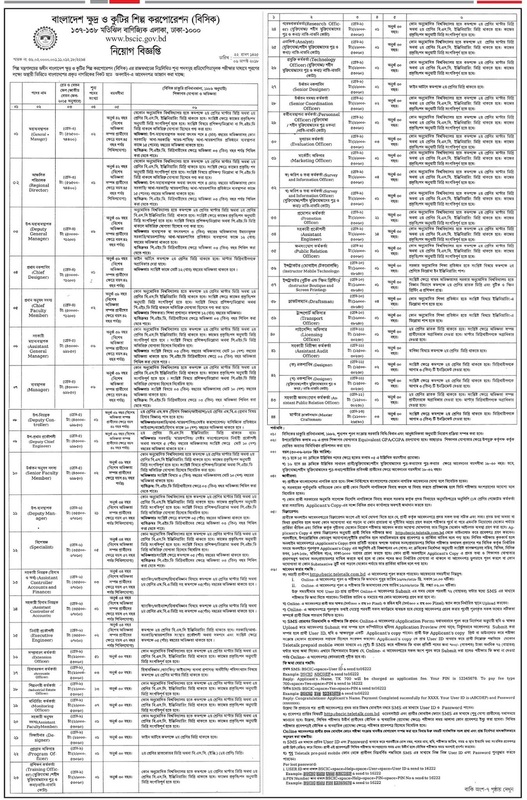 Senior Coordination Officer 29. Personnel Officer 30. Evaluation Officer 31. Marketing Officer 32. Survey and Information Officer 33. Promotion Officer 34. Assistant Engineer 35. Public Relation Officer 36. Instructor Mobile Technology 37. Instructor Boutique and Screen Printing 38. Draftsman 39. Transport Officer 40. Licensing Officer 41. Assistant Audit Officer 42. Designer 43. Assistant Public Relation Officer 44. Master Craftsman. Reply: Applicant’s Name, Tk.700/- will be charged as application fee. Your PIN is (8 digit number). Reply: Congratulations! Applicant’s Name, payment completed successfully for Bangladesh Small and Cottage Industries Corporation (BSCIC) User ID is (xxxxxxxx) and Password (xxxxxxxx). Bangladesh Small and Cottage Industries Corporation (BSCIC) authority Mobile SMS declaration will be published Admit Card. Every applicant can download login with User Id and Password at http://bscic.teletalk.com.bd/. Bangladesh Small and Cottage Industries Corporation (BSCIC) authority Mobile SMS declaration will be published Seat Plan and Exam Center at your Admit Card. You can download Admit Card login with User Id and Password at http://bscic.teletalk.com.bd/ and http://bscic.gov.bd/. 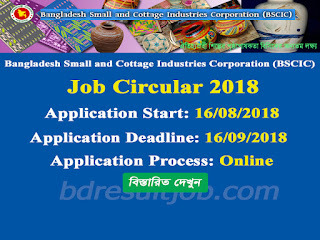 Bangladesh Small and Cottage Industries Corporation (BSCIC) authority will be published at their Official website notice board http://bscic.gov.bd/. 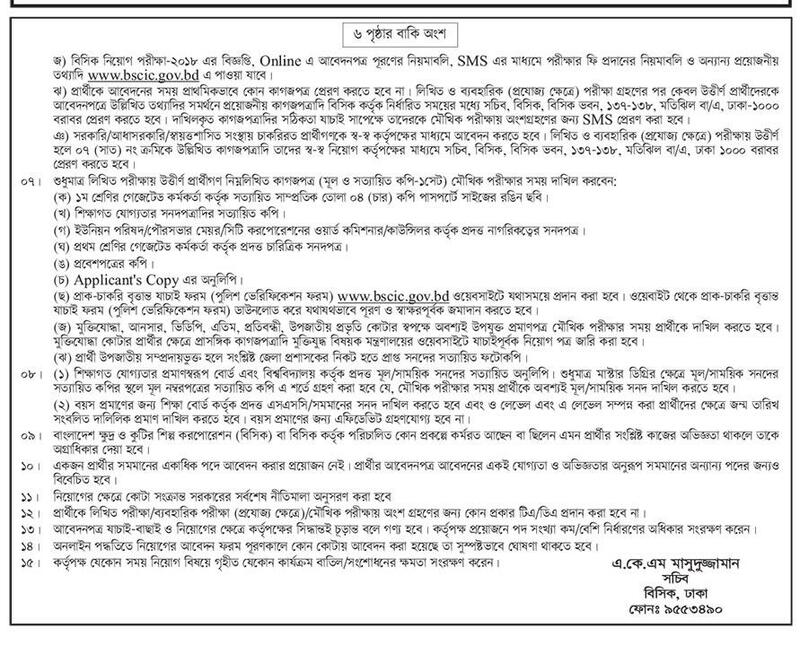 Tags: BSCIC, Bangladesh Small and Cottage Industries Corporation (BSCIC) Job Circular 2018, npcbl teletalk com bd, npcbl.teletalk.com.bd, www.npcbl.teletalk.com.bd, www npcbl teletalk com bd, bd govt jobs, best job sites, job advertisement, job portal, jobs in bangladesh, latest job, job fair, new govt jobs, bdjobs career, bd job circular, bd govt jobs, latest govt jobs, job opportunities, bd jobs, job search, jobs, job, jobsite, government jobs, job vacancies, bd jobs, job search sites, job opportunities, all govt jobs, looking for a job, government jobs 2018, bd jobs government, new job circular bd, today govt job bd, newspaper job circular, latest govt jobs, govt circular bd, circular government jobs, new govt job circular in bangladesh, new job circular bd, looking for a job, new govt job circular in bangladesh, BBangladesh Small and Cottage Industries Corporation (BSCIC) Recruitment Circular 2018, Bangladesh Small and Cottage Industries Corporation (BSCIC) Recruitment Admit Card Download, Bangladesh Small and Cottage Industries Corporation (BSCIC) online application form 2018, BSCIC Exam Result 2018. 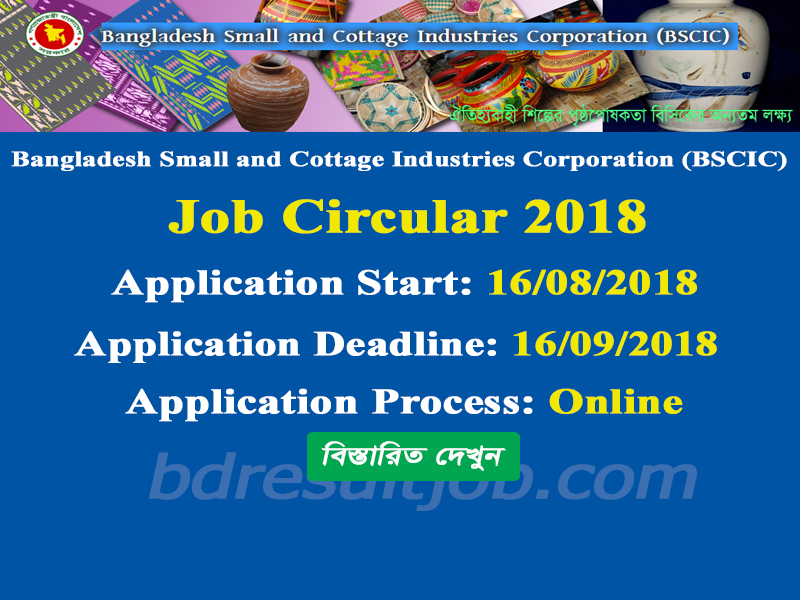 BSCIC, Bangladesh Small and Cottage Industries Corporation (BSCIC) Job Circular 2018, npcbl teletalk com bd, npcbl.teletalk.com.bd, www.npcbl.teletalk.com.bd, www npcbl teletalk com bd, bd govt jobs, best job sites, job advertisement, job portal, jobs in bangladesh, latest job, job fair, new govt jobs, bdjobs career, bd job circular, bd govt jobs, latest govt jobs, job opportunities, bd jobs, job search, jobs, job, jobsite, government jobs, job vacancies, bd jobs, job search sites, job opportunities, all govt jobs, looking for a job, government jobs 2018, bd jobs government, new job circular bd, today govt job bd, newspaper job circular, latest govt jobs, govt circular bd, circular government jobs, new govt job circular in bangladesh, new job circular bd, looking for a job, new govt job circular in bangladesh, BBangladesh Small and Cottage Industries Corporation (BSCIC) Recruitment Circular 2018, Bangladesh Small and Cottage Industries Corporation (BSCIC) Recruitment Admit Card Download, Bangladesh Small and Cottage Industries Corporation (BSCIC) online application form 2018, BSCIC Exam Result 2018.